An IMSI catcher, also known as a Stingray, is a controversial cellphone data-capturing device that has been used by Toronto Police Service on five separate occasions—although in 2015 the service denied they were using it. IMSI catchers are controversial because they capture data from all mobile devices in an area being targeted by police as part of an investigation—including that of innocent civilians. 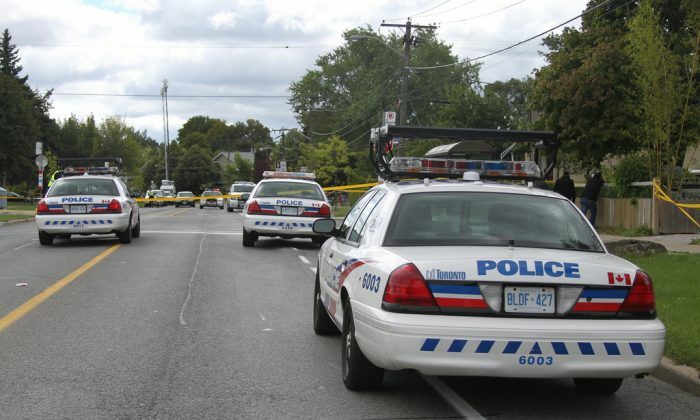 Documents obtained by the Toronto Star show that, since 2010, Toronto police have used the Stingray in investigations including a major drug and gun case, a missing person case, and a bank robbery. However, in December 2015 a police spokesperson told the Star: “We do not use the Stingray technology and do not have one of the units,” the Star reports. It took two years for the Star to obtain the documents through an access-to-information request. Pugash said Toronto Police Service does not own a Stingray device but would not say whether the force had partnered with another police agency that has one. Brenda McPhail, a privacy, technology, and surveillance expert with the Canadian Civil Liberties Association, said the lack of transparency around the use of the devices has long been an issue. “It’s troubling that it took a freedom of information request to confirm, despite past denials, that the [Toronto police] have been using IMSI catchers,” McPhail told the Star. An IMSI (international mobile subscriber identity) catcher is an internationally standardized unique number to identify a mobile subscriber; it is indiscriminate in whose mobile it identifies. It can capture data such as numbers dialed, determine the exact location of a specific cellphone, and listen in on calls, among other uses. Police services that have admitted to using the technology, which include the RCMP, have said they do not collect private communications, according to the Star, and this also apples to Toronto police. Police maintain the device has been essential in investigating cases related to national security and organized crime, among others. However, the secrecy surrounding the use of the Stingray has long been denounced by privacy advocates.